Whether you are writing the next summer blockbuster or a small budget independent film, all scripts share common screenplay elements. Keeping the basic elements in mind will help improve your script and increase your chances of having your story made into a movie. The vast majority of movies fall neatly into genres such as romantic comedy, western, science fiction, etc. You need to know the conventions of the genre you are writing for. Even if you plan on changing all the rules, you won't know what rules you are breaking until you know your genre inside and out. 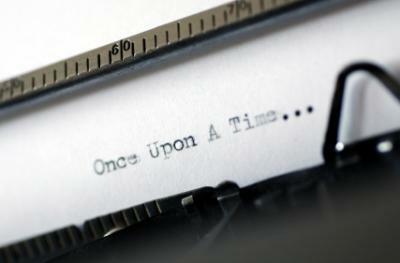 As the screenwriter, you know exactly what your story is about. You see all the plot twists and turns, the dialogue, the memorable characters and all the other screenplay elements. The question is whether other people understand what your movie is about, especially people like producers and studio executives. Ideally, you should be able to define the concept of your movie in one sentence. This one sentence of course is not very detailed, but detail is not the point. A well-defined and short concept sentence will help you pitch your story and encourage someone to read your screenplay. Many writers prefer to think of film as art, but the reality is that movies are a business. In order to get financing for your film, you will have to consider audience appeal. A studio is only going to make your movie if they think there is a market that will want to buy tickets at the theater. You don't necessarily have to change your entire movie to make it appealing to the masses, but some small changes here and there will help get your movie into pre-production. When some people talk about movies, they focus on the action, the special effects or the plot. What really makes movies memorable, however, is great characters. The most well-written plot is worthless if the audience doesn't care about the characters involved in the action. One way to develop characters is through dialogue. Some characters, like Yoda from the Star Wars series, have their own unique dialogue that helps make them memorable. Your dialogue needs to sound like real people talking. When people talk, they don't always use perfect sentences, for example. A movie contains very little dialogue compared to a novel, so every line is important. Your script is the blueprint that the director will follow when shooting the film. Your job is easier than the director's because describing action is easier than setting up the shot and filming the action. However, you need to use enough detail so that the filmmakers will know how to ideally set up the action. All stories have conflict in them. There has to be some element in your story that creates tension. The conflict can be between two people or it can be some obstacle that prevents your characters from achieving his or her goals. As part of your conflict, you need to have a crisis point. This is where your story takes a dramatic turn. In many movies, the crisis point comes around the 60-minute mark in the movie, which is approximately halfway through the story. If you've created believable characters, kept the film moving with action and dialogue, created some conflict and introduced a crisis into your story, then you'll have your audience caring about the resolution of the story. Your resolution doesn't always need to be a happy ending. Some screenwriters also like to write movies that have vague or open endings. However, the majority of people want the story to have a clear ending where the conflict and crisis are resolved. There is more to screenwriting than just these basic screenplay elements. However, if you constantly keep the basics in mind when writing, it will help keep your screenplay focused.